Estimated Closing Costs is a list of the standard charges involved in the transfer of the rights in the property purchased in Mexico. The total cost can vary depending upon the circumstances. It is generally prudent, however, for the buyer to set aside 4% to 7% of his budget to pay these costs. 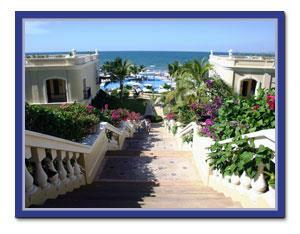 OFFICIAL APPRAISAL: The cost for this will range from $ 150USD to $800USD depending upon the value of the property. It may be higher, however, if the property is outside of the immediate Mazatlan area, or if more than one tax parcel is involved. An appraisal must be made for each parcel as registered in the tax office. This establishes value for purposes of tax liability for the buyer and the seller and is required by the Notary Public for preparation of the deed of transfer. The appraisal is made by a government appointee, often an architect, who is called Perito Valuador, Official Appraiser. FOREIGN RELATIONS PERMITS: If the property being purchased is in a Trust with a Mexican bank, and the seller has a beneficial interest in the property which has been registered under the trust, the buyer will pay only the costs for Assignment of those beneficial rights, bank transfer fees and registration in the Foreign Investment Registry. A permit will be required only if so stipulated in the Seller’s Trust. If the property is not under a Trust, it will be necessary to acquire a permit from the Secretary of Foreign Relations to establish a trust. The application for the permit must indicate the proposed usage of the property. If the property is a vacant lot, the request should include a general development plan; the amount of money being invested and the time frame in which the investment will be made. BANK ADMINISTRATION FEES: If title to the property is in a bank trust there will be annual fees for the administration of same. They will generally range from .05% to 1% of value declared and subject to reappraisal of the property each year or two. The bank also charges fees for the transfer of beneficial rights and/or the establishment of a new trust. Many banks are now quoting fees fixed for three to five years of $ 350. to $450. USD per year. Banks generally do not send annual statements, it is often necessary to request the bill for fees from the trustee bank each year and to pay on time to avoid penalties. 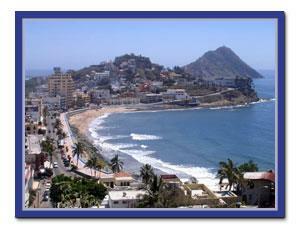 TITLE SEARCH AND INSURANCE: A title search will generally cost $ 200.00 to $1,300.00 in the Mazatlan region. A search is recommended and will reveal any existing liens, history of the property, easements, and any other details pertinent to the property. Title insurance is $5.00 to $6.50 per $1000.00 of the purchase price and will be required by institutional lenders. Title search in other parts of Mexico is charged on a per case basis. ACQUISITION TAX: The acquisition tax, or transfer tax, is generally paid by the buyer. It is currently 2% of the declared value of the transaction. CAPITAL GAINS TAXES: A foreigner who sells property in Mexico is liable under special rules, much like the United States, for the payment of the I.S..R. (Impuesto Sobre la Renta) which is the Mexican equivalent of the Capital Gains tax Liability is either 25% of the declared value of the transaction or 28% of the net gain, less the improvements made, commissions paid and other allowable expenses. The formula is complicated and the tax should be figured both ways and confirmed by the Notary Public who will be preparing the final deed and tax declarations. SETTLEMENT COSTS: These fees are for services provided and include: supervision and coordination of permits, tax payments and the myriad of other details so necessary to obtain full legal title. These fees are based upon the purchase price in the transaction. NOTARY FEES: The Mexican Notary Public is an attorney who has practiced his profession for at least five years and has been appointed by the governor of the state in which he is practicing. His duty is to draft the deed and to confirm the validity of signatures. The persons signing before him must prove they are who they say they are. The notary is also responsible for the calculation of buyer and seller taxes. His fees are based upon a rate schedule and are tied to the amount declared in the property transfer. These fees can range from $2,500USD to several thousand dollars depending upon the declared value of the property. I.V.A. - The Impuesto Sobre Valor Agregado is a value added tax, currently at 10% of the value of goods and services on Sinaloa and 15% for banks and notaries with headquarters in mainland Mexico. I.V.A. must be paid on fees charged by the Notary, the appraiser and any other professionals whose services are being used in the transaction. Quotations are in U.S. dollars, include 2 % acquisition tax and normal expenses involved in the transfer of property in a mexican bank trust (Fideicomiso). These are estimates only and are subject to change title insurance adc Get a GOOD deed!